Every morning when I wake up, I check the Google Trends listings to see what people are talking about, searching for, or looking to learn about. Usually, it’s a bunch of nothing. However over the past few days, there have been a lot of searches concerning Orange County Choppers, or OCC, and whether or not the company is going bankrupt. 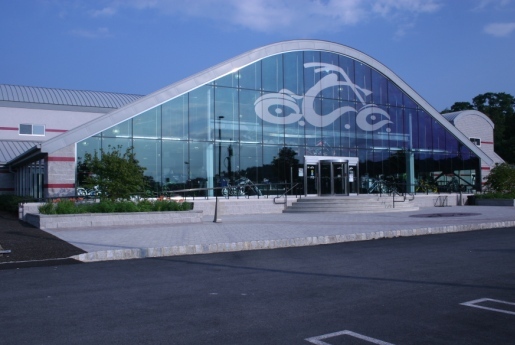 Orange County Choppers is the custom motorcycle shop owned by reality TV show Paul Teutel Sr., who rose to fame on a TLC reality show titled American Chopper, now in its 7th season. Despite all the rumors, Orange County Choppers is not going bankrupt, but they are playing financial hardball with their creditors. OCC took out two mortgages to build and pay for its new international headquarters and custom cycle fabrication works in Newburgh, New York. According to the loans, the building’s value is $12 million, or was at the time the mortgages were taken out. OCC wants the mortgage to be reevaluated and lowered, since the building is apparently worth only $8 million now, and by missing a July mortgage payment, OCC was able to force mortgage holders GE Capital to the negotiating table. OCC attorney Richard Mahon promises that OCC and Paul Sr. are not bankrupt, or in danger of bankruptcy.